Being a dog owner is not an easy task, and as such, you do need to consider a huge variety of things. 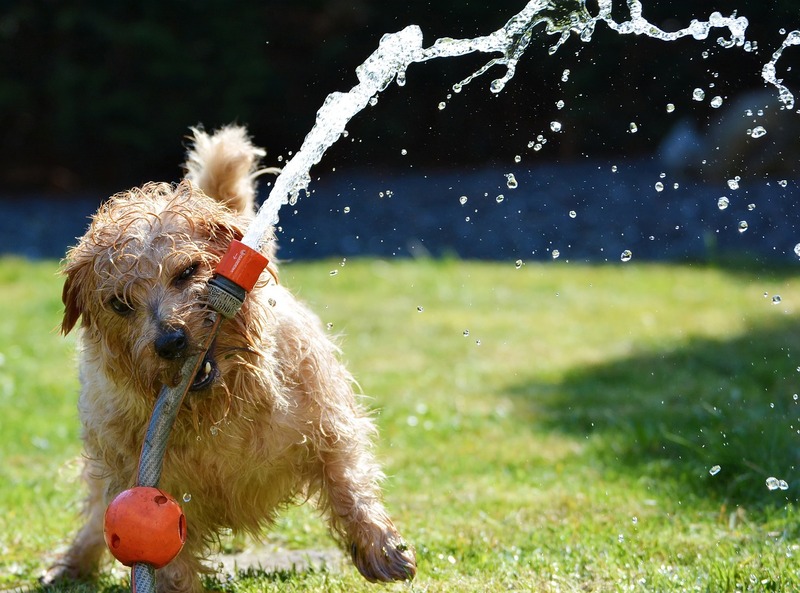 Some of those include the type of shampoo you are going to use to help your dog retain healthy, nice and shiny coat, while others have to do with the picking of the right nutritional supplements in order to help your dog with his joint problems. 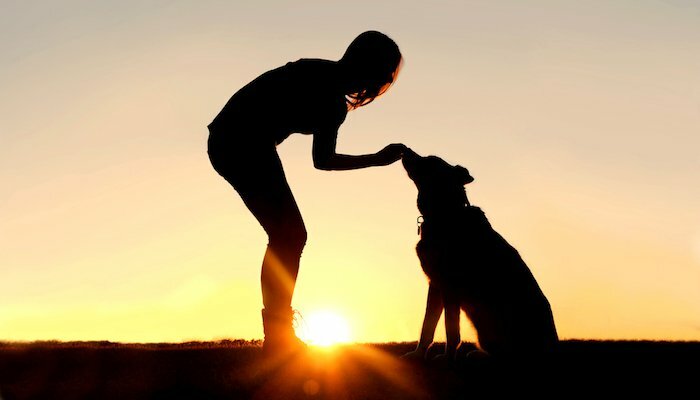 These are your responsibilities as a dog owner – to try and make sure that your dog lives a long, happy and healthy life. And the best way for you to make sure that your dog gets all the right support that he needs in order to get rid of any hip or joint-related issues, you ought to consider using TerraMax Pro Hip & Joint supplements. 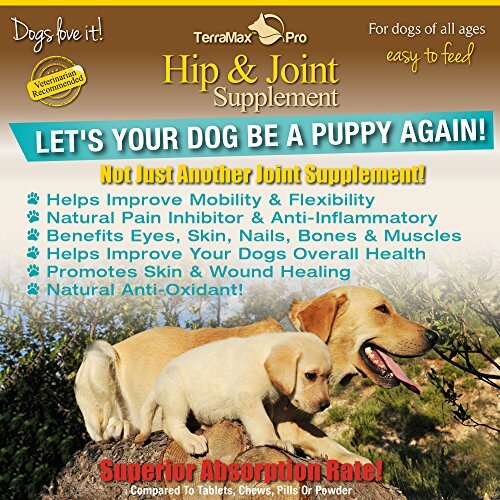 And that is why we have decided to give you a complete review of TerraMax Pro Hip & Joint Supplement formula, and tell you all the ways that this product is able to benefit your dog, and especially your dog’s health and well being. Probably the biggest benefit that this particular product has to offer is the fact that it comes in a liquid form, which is really important because, after all, this is a nutritional supplement, and a liquid form is much easier to administer to your dog. The thing that makes it easier is the fact that this product can easily be absorbed into the dog’s food, and it can be done rather quickly and rather easily as well. The formulas that come in powder or tablet form may be a bit difficult to give to your dog because you never know how they’re going to react to it, and that is why this is the best way. Also, the liquid form of the formula allows it to reach all the problem areas in a really short time, which allows you not to have to wait for the chewable pills or the powder to go through the dog’s digestive system. The most important thing you need to consider before selecting which supplement you are going to give to your dog is to know which of them is being recommended by the veterinarians. This will allow you to get an idea if the product is completely safe and reliable and also to figure out would it and how would it work with your pets. This formula contains glucosamine, which is great for the dogs no matter what breed they belong to, that size they are, what age they are, etc. basically, this is a product that is amazingly versatile. This formula is the result of more than 20 years of research, and this is something that means a lot when it comes to allowing the supplement to enter the dog’s system and to allowing it to be absorbed in a relatively short amount of time. Because of the fact that the research on this product has been in the works for so long, it is completely safe to say that this particular product is a lot more reliable as well as a lot more efficient than all the other types of nutritional supplements that you can find on the market. This also means that this product is going to offer you a lot better results in a shorter amount of time. There is one more important reason to why Terry Max Pro Hip & Joint Supplement is being recommended by veterinarians – because the dogs just love to eat it! What is great about this product is the fact that you don’t really have to disguise the supplement before you give it to your dog or hide it in their food. This is because the products taste great and even the pickiest dogs in the world wouldn’t miss out on tasting something as good as this. This allows for the dog owners to administer the supplement to their dogs with much more ease whenever it is needed. The popularity of eating healthy among the humans has started to increase, and riding on the wave of such popularity, why not broaden it a bit in order to include your dog in it as well? This product is made only of safe and natural products, and having such ingredients could only help with the health and joint problems. The fact remains that there are a lot of medications out there that could help your pets with this as well, but it is also true that some of these medications could be really dangerous for pets, and especially for the pets that have allergies. And the additional problem lies in the fact that your dog might have some allergies with which you’re not familiar with. Besides, medications are only considered to be a temporary fix for the problem, and therefore it is much better for your pet to start giving them a completely natural formula that is going to keep them safe, increase their health, and probably won’t react badly with their system. It goes without saying that the formula used for this supplement is sourced and that the product was completely made in the United States, which is great both for the economy and for your dog who is going to get a supplement full of quality ingredients. And in case you still aren’t too sure about this product, we’re just going to mention the fact that it has been fully tested and made in an FDA and GMP certified facility. Now that we know a little something about all the benefits that this product has to offer, it would be wise to consider what this product actually does. 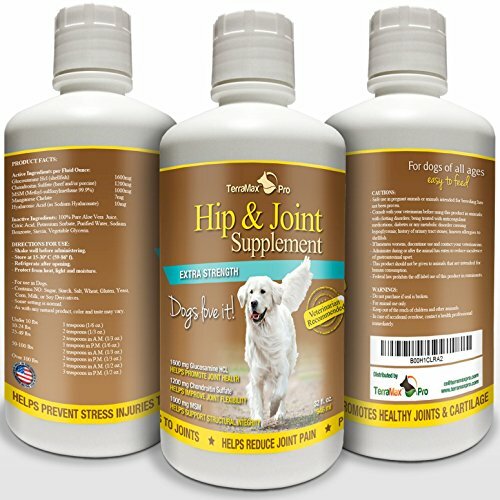 Basically, TerraMax Pro Hip & Joint Supplement is a formula that has the ability to improve your dog’s health, and it does so because of the fact that the entire formula of the product was designed in such a way to reverse all the issues that can be associated to joint problems, and especially the joint damage, no matter if it’s a problem caused by the dog’s age or any other kind of an issue. 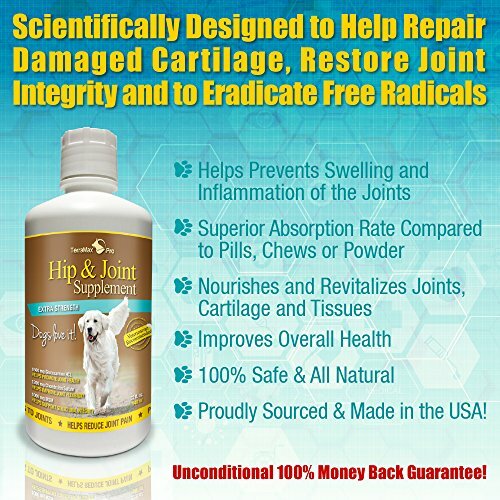 This product works by allowing your dog’s body to heal and grow new cartilage. The fact that it helps with the healing of the existing worn cartilage is really important because such an action is considered rather impossible by some. You will start noticing the positive changes in your dog in a really short amount of time, and the main indicator of this will be the fact that your dog has become a lot more mobile and flexible. It is also really important to note that once you start using this formula on your dog, you will actually be helping the dog because you’ll be providing assistance to your dog’s joints, and this assistance is something they desperately need in order to become strong and grow solid. This will lower their chances of ever experiencing any joint problems in the future, which is an extremely important thing to note! Also, people need to understand that this product is not only great for restoring the dog’s body, but the thing that makes it amazing is its anti-inflammatory effects that act as natural pain killers for dogs. Due to the fact that most of the joint pain comes as a result of inflammation, this is a really important piece of information. 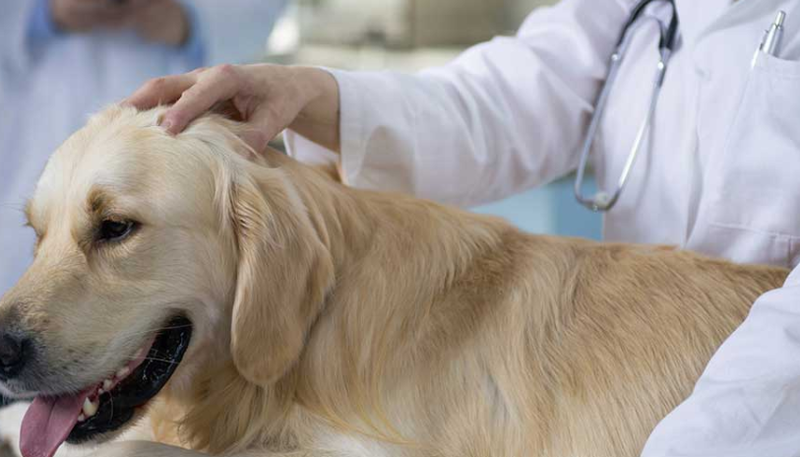 This basically means that with the continuous use of this product, the inflammation is going to subside, and with it, so will the pain that your dog’s been feeling. This product has proven itself to be a quite useful one for dogs that have also been suffering from arthritis or dysplasia. 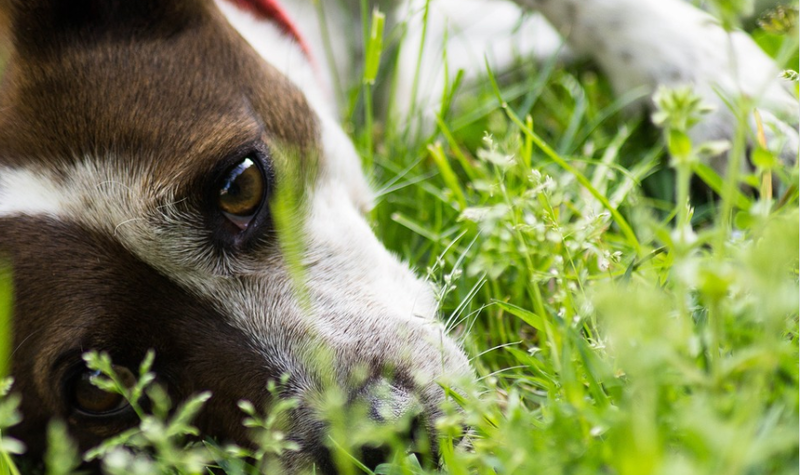 If your dog is suffering with join pain, seizures or anxiety CBD oil can be a great treatment – click here for the top 10. There are numerous different food supplements out there, and all of them say that they provide help to all the cats and dogs out there, and especially help that make their lives a lot healthier. However, most of those products have some kind of restrictions tied to it. A great example of this is the fact that many of the joint and hip supplements that can be found on the market nowadays were especially made for the bigger dogs. Even though it is true that the chances for a bigger dog to start experiencing pain in his joints is much bigger than the chances of that happening with a small dog, these problems to occur to smaller dogs as well. An amazing thing would be having a product that could be used both by the owners of smaller dogs and the owners of bigger dogs. Wel,l such is this product, and another thing that makes it perfect is the fact that it allows the owners to save a lot of money if they own several dogs of different sizes. It can be extremely difficult watching your dog suffer from any kind of pain, but is you start administering TerraMax Pro Hip & Joint Supplement to your pet, their health is going to improve almost instantly, or to be precise, in a matter of few days. 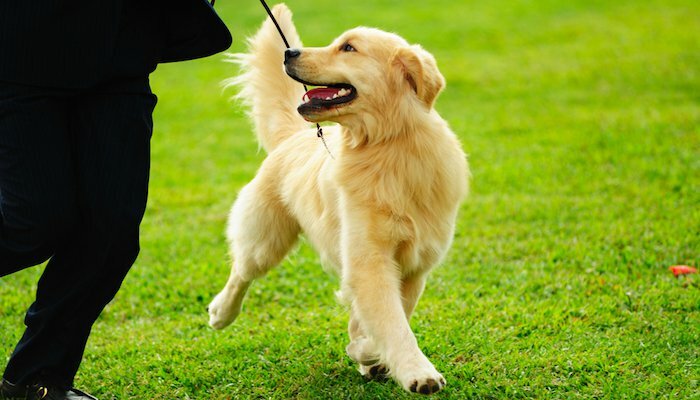 Some dog owners have reported that after just a couple of days, their pets have started moving and being flexible again, which only goes to show that this is an amazing formula that works quickly.